Hi Folks Capt. Steve here saying what better way to spend father’s day with dear old dad than a father son or father daughter fishing trip. 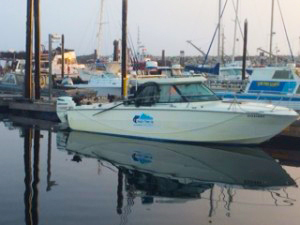 HOOK’N THEM UP Fishing Charters would like to invite you aboard to explore the great fishing waters of Southern Vancouver Island in British Columbia on Canada’s West Coast Right here in Oak Bay Victoria BC’s hidden gem for Halibut and Salmon Sports Fishing. We offer something for the entire family. So make this Father’s Day a HOOK’N THEM UP day for dad. Book Today to the times and tides you want and to help celebrate this special day we are offering a special 4.5 hr salmon and crabbing fishing trip for one low price please call for details. See you all then.